I am really excited about a new custom order that I received this past week. The design inspiration was a lighthouse lens, and the requested color palette was ocean themed blue. 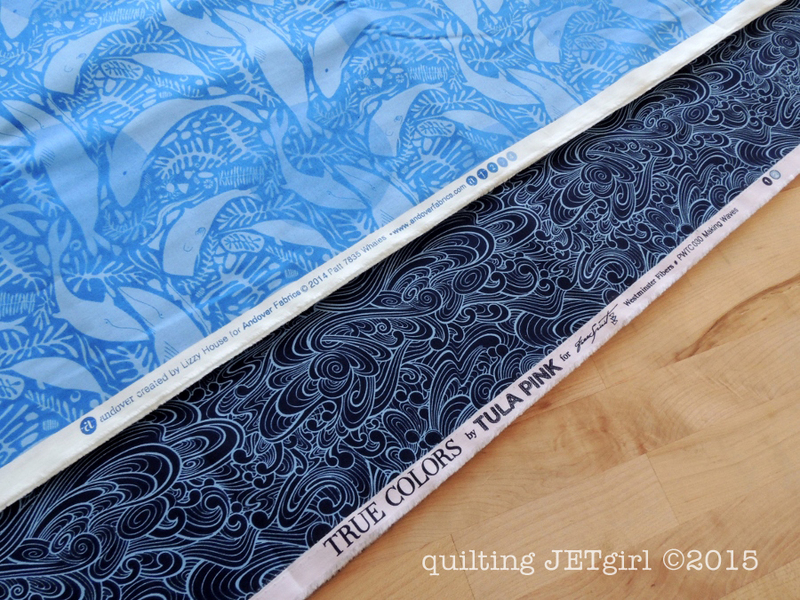 The client and I picked out Giants of the Deep, Whales in Blue by Lizzy House and Making Waves in Navy by Tula Pink. I will be doing some meticulous cutting of the whales, and I think the dark blue waves will frame them perfectly! I am looking forward to cutting into them this week. I also forgot all about the low volume fabric swap that I joined earlier this year and was really surprised and excited to get my charm pack in the mail on Friday! Thank you so much Chelsea @Patch the Giraffe and Michelle @From Bolt to Beauty for organizing the swap. Linking up with Sunday Stash to see what everyone else is buying this week. This will be fun to see! And yay for “surprise” charms in the mail! 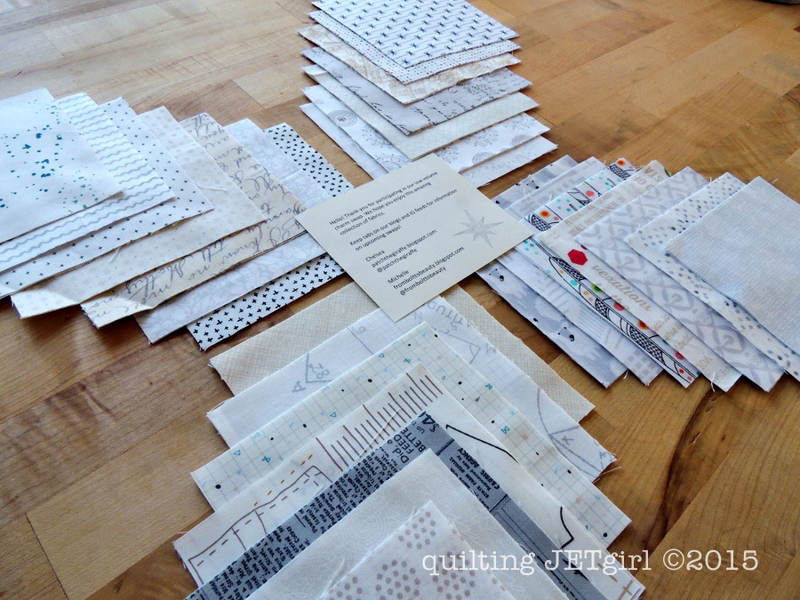 Yesterday my sister came over and I got to talk to her a little about a wedding quilt. I pulled out both of these fabrics from my stash to show her! But she and her fiance were overwhelmed, I think…so I’ve sent them a few questions and the design seed website to consider. I’m excited to see what you make with those blues, and the LV squares! so pretty those blues are awesome. fussy cutting the whales…that intrigues me! I love blue, and I love the ocean, so will be looking forward to seeing what you create! The low volume swap IS a good idea. I’m with Sandra.. fussy cutting whales. Lovely blues. I love that Giants of the deep fabric! Those prints are both wonderfully nautical. I can see the sea!